Well, next time I post about this I’ll be able to talk about sizing and how the pieces fit, what I thought of the fabric and cut – it helps to know if the product is true to size or not. I’m a pretty solid Medium, but if it runs small I need to size up. Maybe that will be helpful if you’re on the fence. I just decided to go for it, because for $35 I figured I didn’t have a lot to lose, it would save me a lot of time, and I can back out of the program if I want to, so what the heck! I think programs like this are a good idea if, like you said, you use it often. I tend to forget about things though, so I’d end up with the charges every month before I remembered about it. 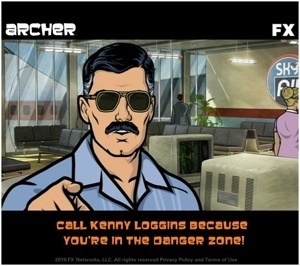 I know what you mean about the danger zone. I have that problem too often. I’ll go into a shop for one thing and end up spending a load on everything else. Sometimes I even get so carried away that I completely forget the thing I actually went in for. Yeah, that happens to me too. I lose my mind in that store all the time!